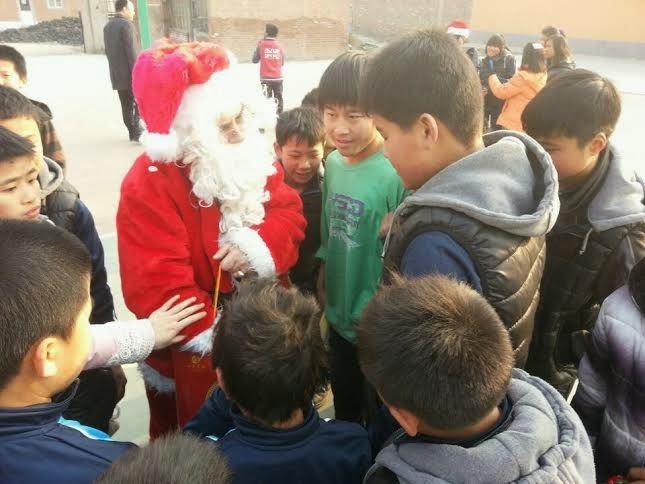 This year we continued our community goodwill tradition by visiting another orphanage with a handful of teachers and Santa Claus who brought gifts of chocolate and toys for 150 orphans from Anhui Province whose parents died in earthquakes or other tragic events. It was a moving experience for us and we are now recruiting volunteer teachers who may want to help one day a week with their sister orphanages in Beijing and Shanghai. We need talented Dance, Art, and Music teachers along with a Sports Coach who can teach Soccer, Volleyball, Tennis, and basketball. All Volunteers are asked to send their resumes and police certificate to Andrew@ChinaForiegnTeachersUnion.org. We also need ten volunteers teachers to join us next weekend to visit a home for the elderly in Huairou. We will bring some treats and warm clothing for them and perhaps sing some old Western songs for them. For all those who donated clothing for this project XIE XIE!